Nanny McPhee and the Big Bang is the sequel to Nanny McPhee, directed by Susanna White, written by Emma Thompson and starring Emma Thompson, Maggie Gyllenhaal, Rhys Ifans, Ewan McGregor, Bill Bailey, Ralph Fiennes and Maggie Smith. Mrs. Green (Maggie Gyllenhaal) has a rather difficult life: Her husband (Ewan McGregor) is at war (and hasn’t sent a letter for quite some time). 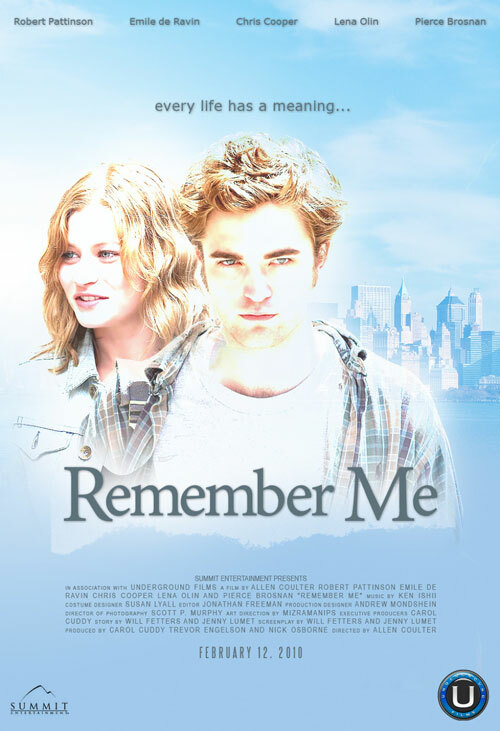 Her brother-in-law (Rhys Ifans) is pressuring her to sell her half of the farm they own. She works for the elderly Mrs. Docherty (Maggie Smith) who shows signs of dementia but doesn’t recognise it. Her three kids (Asa Butterfield, Oscar Steer and Lil Woods) are really wild and especially nervous since their cousins (Eros Vlahos and Rosie Taylor-Ritson) are about to come live with them to escape London in the war. That’s when the magical Nanny McPhee (Emma Thompson) appears, to make Mrs. Green’s life a little easier, but mostly to teach the five kids five lessons. If you’ve seen the first Nanny McPhee film, you know what to expect: adorable entertainment for the whole family. 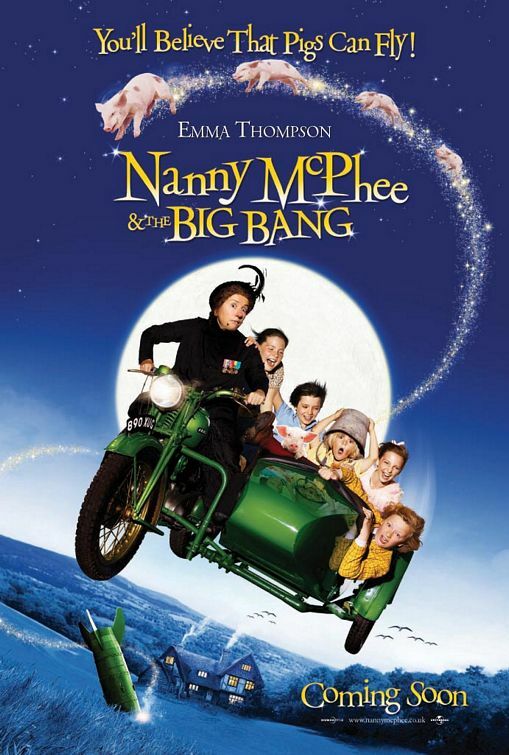 Nanny McPhee and the Big Bang does not disappoint at all. Quite to the contrary, it might even be more spectacular and even sweeter. … take a look at this epic compilation of Celebrity Cameo Music Videos deadra and I compiled. And feel free to add your own. Philip Smith makes awesome Book Art. Ben Heine’s pencil drawings/photo hybrids. Ok, Where Do I Start With That? B. A lot must have changed when Ian McEwan is a contender for the Wodehouse prize. Batman to be a play. Hateris – The Meanest Tetris Clone You’ve Ever Played. Sam Mendes to Direct Robert Downey Jr in Wizard of Oz Prequel? So, Idris Elba was cast as Heimdall and now (white) fanboys are complaining? Come on, people, after centuries of casting white people as Othello and other black characters, I think it’s great that it’s the other way round for a change. 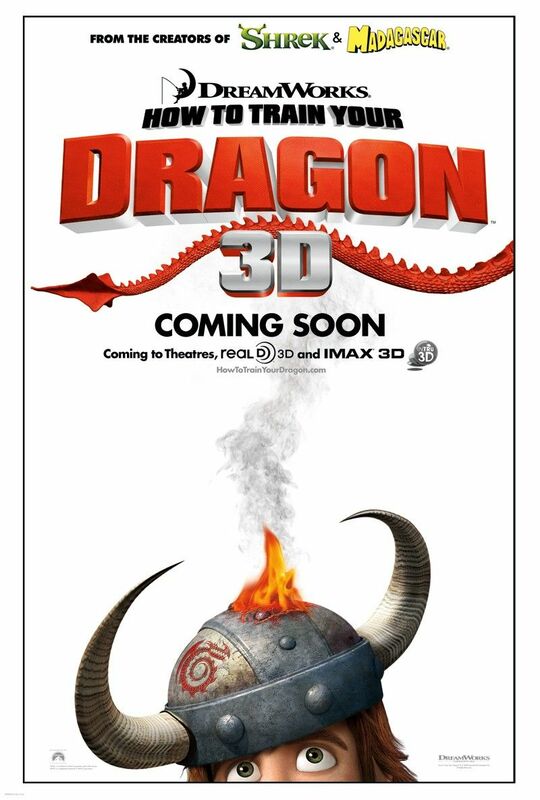 How to Train Your Dragon Sequel Confirmed. Themes in Advertising: The Humorous Intersection of Tampons and Cigarettes. When You Have No Right to “Apologize”. The “fair use economy” is enormous, growing, and endangered by the relatively tiny entertainment industry. Creepy, Abandoned Dinosaur Amusement Park. How to Train Your Dragon is the newest DreamWorks Animation movie, directed by Dean DeBlois and Chris Sanders, starring the voices of Jay Baruchel, Gerard Butler, Craig Ferguson, America Ferrera, Jonah Hill and Christopher Mintz-Plasse. Oh, oh, oh, the cuteness of it all! Toothless is probably the sweetest pet ever. I was afraid that all the good scenes were already in the trailer and that it would get pretty old pretty fast, but I was proven wrong there. The only thing that was mildly annoying was how they used the accents. 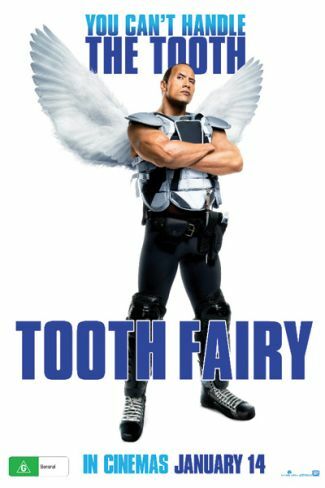 Tooth Fairy is the newest movie by Michael Lembeck, starring Dwayne Johnson, Ashley Judd, Stephen Merchant and Julie Andrews. Derek (Dwayne Johnson) is an ice-hockey player past his prime. In fact, nowadays he’s mostly famous for being the Tooth Fairy – meaning he body checks his opponents so hard, they regularly lose some teeth. When his girlfriend’s (Ashley Judd) daughter loses a tooth (the natural way, not a through a body check), Derek almost tells her that there’s not actually a tooth fairy since his disillusionment made him believe that all dreams are bad. For that, he is summoned to the Fairy World, where he’s convicted to serve two weeks as an actual Tooth Fairy. Shenanigans and life lessons ensue. The Tooth Fairy is pretty much exactly as it sounds. Adults will get a few laughs out of it, but this movie is made for kids. And kids will like it (disclaimer: surprisingly, there was not one kid in the cinema with us, so this is a as of yet untested theory). This is a meme about privilege. The people who started the study assumed (and rightfully, I guess) that most people experiencing privilege don’t even see it (isn’t that what privilege is about? assuming that it is normal? anyway.). It’s about privilege leading to higher education. Your task is to look at your life at 18 and bold the stuff that applies to you (= your privilege) in the following list. If your father went to college before you started. If your father finished college before you started. If your mother went to college before you started. If your mother finished college before you started. If your family was the same or higher class than your high school teachers. If you had a computer at home when you were growing up. If you had your own computer at home when you were growing up. If you had more than 50 books at home when you were growing up. If you had more than 500 books at home when you were growing up. If you were read children’s books by a parent when you were growing up. If you ever had lessons of any kind as a child or a teen. If you had more than two kinds of lessons as a child or a teen. If the people in the media who dress and talk like you were portrayed positively. If you had a credit card with your name on it before college. 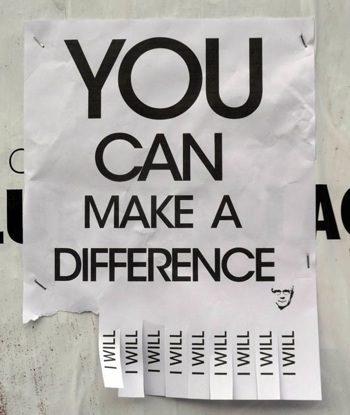 If you had or will have less than $5000 in student loans when you graduate. If you had or will have no student loans when you graduate. If you went to a private high school. If you went to summer camp. If you had a private tutor. (US students only) If you have been to Europe more than once as a child or teen. (International question) If you have been to the US more than once as a child or teen. If your family vacations involved staying at hotels rather than KOA or at relatives homes. If all of your clothing has been new. If your parents gave you a car that was not a hand-me-down from them. If there was original art in your house as a child or teen. If you had a phone in your room. If your parent owned their own house or apartment when you were a child or teen. If you had your own room as a child or teen. If you had your own cell phone in High School. If you had your own TV as a child or teen. If you opened a mutual fund or IRA in High School or College. If you have ever flown anywhere on a commercial airline. If you ever went on a cruise with your family. If your parents took you to museums and art galleries as a child or teen. The Blind Side is the newest movie by John Lee Hancock, starring Sandra Bullock, Quinton Aaron, Tim McGraw, Jae Head, Lily Collins and Kathy Bates. Michael Oher (Quinton Aaron) is a traumatised, homeless young boy who, because of his sheer size, manages to convince the football coach of a christian private school to plead for his admission in said school. By coincidence, he then is found by Leigh Anne Tuohy (Sandra Bullock), whose kids are in that same school. Leigh Anne takes Michael in to live with her and her family and tries to facilitate his football career. The troubling racial aspects of the story aside, the film isn’t even half as bad as I thought it would be. That doesn’t mean that it actually deserves all of the accolades it’s gotten, but it means that it’s watchable without going into a diabetic coma.